Ripple’s XRP token has gone from the worst performing top-5 cryptocurrency to the best performer in just one week. As of writing, the world’s third-largest cryptocurrency by market value is trading at $0.6574 – up 33.66 percent week-on-week, according to CoinMarketCap. The news come, of course, as the wider crypto markets have regained poise over the last week. But while the total market capitalization of all cryptocurrencies is up 30 percent week-on-week, XRP has outpaced even that notable recovery. XRP had a disastrous start to the year, dropping 77.77 percent in the first quarter. The token had dropped by 87.86 percent as of April 1 (no joke) – numbers that made it the worst performer in the top 5 at the time. However, XRP had been looking very oversold, as per the daily relative strength index (RSI), and a rally was perhaps inevitable. News flow may have also played a role in the gains, with CoinDesk reporting last week that Spain-based banking giant Santander is launching One Pay FX – a cross-border payments app developed in partnership Ripple. 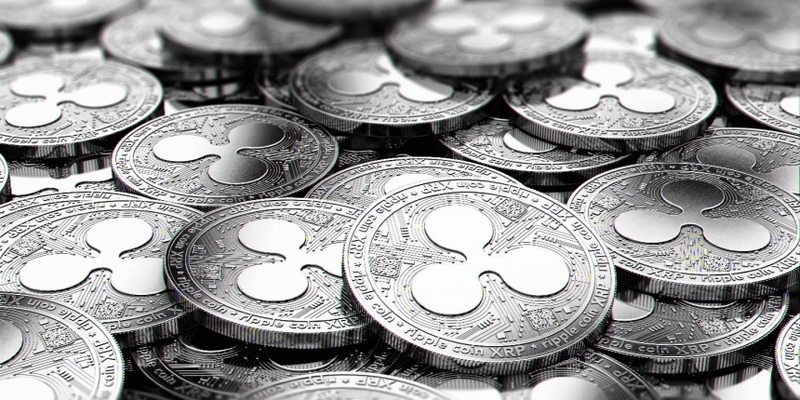 The news garnered lots of attention from the investor community and may have put a bid under XRP. It’s worth noting, though, that the application does not use XRP token. Looking ahead, there is widespread belief that Wall Street bigwigs like Soros and Rockefeller are about to kick start another bull run in crypto markets. Ripple, with its multiple partnerships with banks and other financial institutions, might be best suited to benefit from a resulting inflow of money into the crypto space. The technical charts, too, indicate that XRP could continue to outperform bitcoin in the near future. The above chart (prices as per Bitfinex) shows a Bollinger band (+2 and -2 standard deviations from the 20-day MA) squeeze, followed by an upside breakout on April 12. A squeeze occurs when volatility falls to very low levels and the Bollinger bands narrow into a tight range. These periods of low volatility (range trading) are often followed by periods of high volatility (range breakout). Note that XRP’s volatility on April 9 reached the lowest levels since late November, hinting at the breakout move seen on Saturday. Furthermore, the daily RSI is biased to the bulls. Taking all this into account, XRP may see a more gains against BTC over the next couple of weeks. XRP/BTC is likely to test 0.00012–0.00012472 BTC (Feb. 14 high) over the next couple of weeks. However, a break below 0.000074 BTC (20-day MA) would abort the bullish view. A daily close (as per UTC) below 0.000069 BTC (April 3 low) would signal a bullish-to-bearish trend change and would open doors for a drop to 0.000060BTC.